DRAWSKO POMORSKIE TRAINING AREA, POLAND. 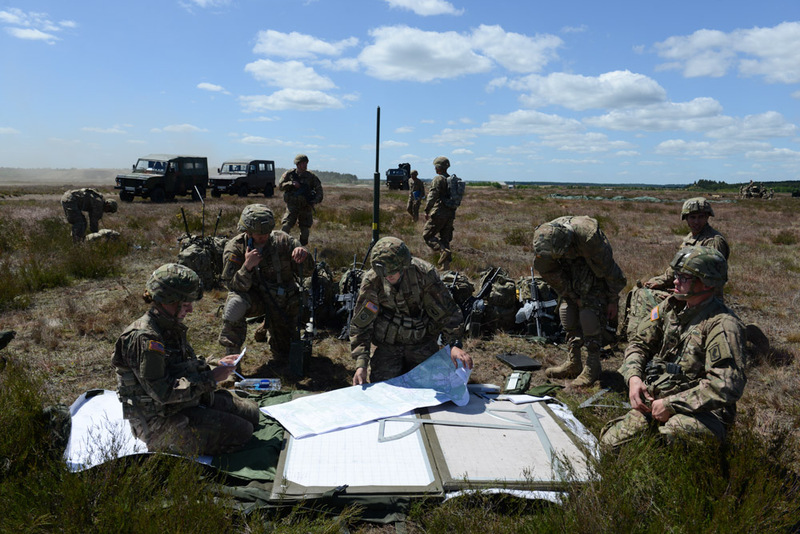 American soldiers with the Fourth of the 319th Airborne Field Artillery Regiment of the 173rd Airborne Brigade Combat Team examine their maps and communications following an airdrop from a C-17 aircraft that took off from Nuremberg, Germany and dropped on June 15, 2015. NATO is engaged in a multilateral training exercise "Saber Strike," the first time Poland has hosted such war games, involving the militaries of Canada, Denmark, Germany, Poland, and the United States.